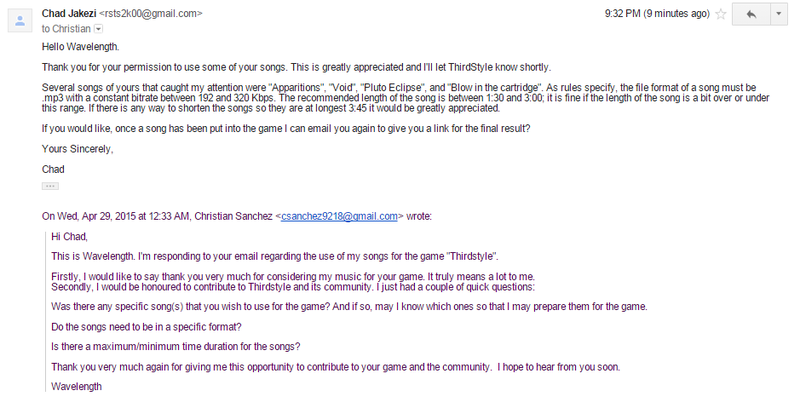 Wavelength has given permission for use of his songs. One or more of the four listed may appear in the game sometime soon. To avoid permission problems or other username confusion please be sure to modify at least in game. Thank you.